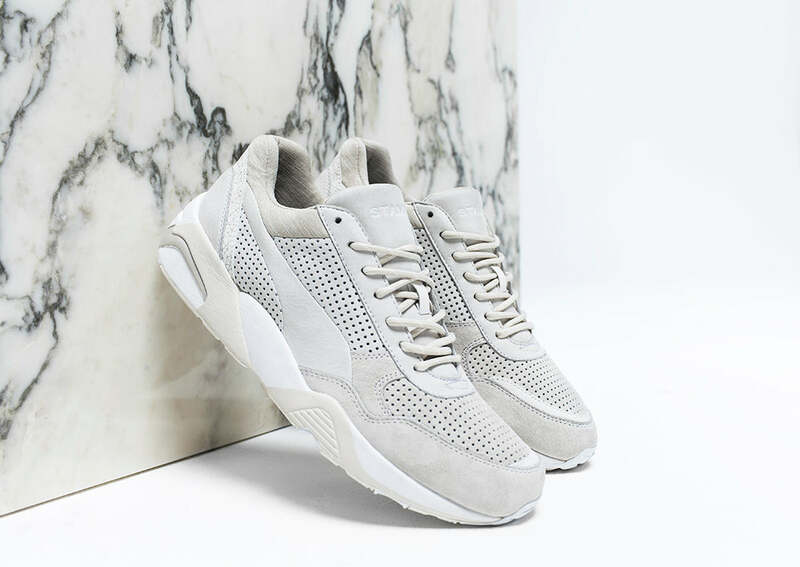 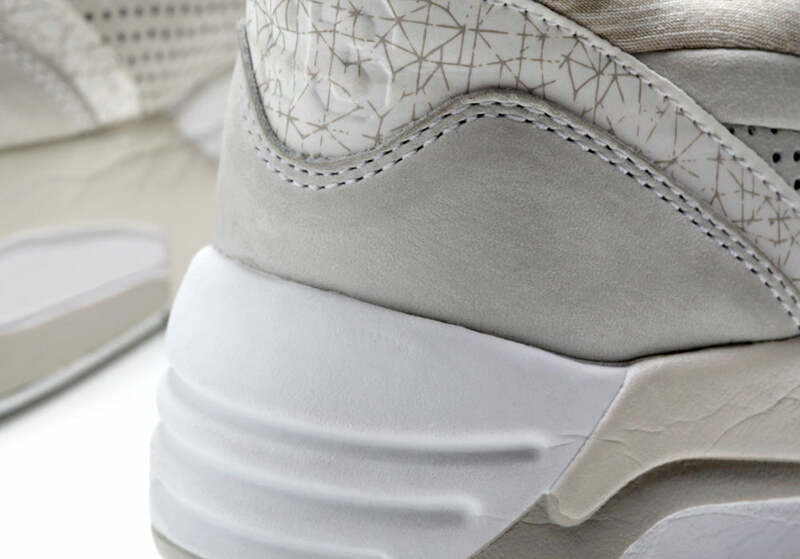 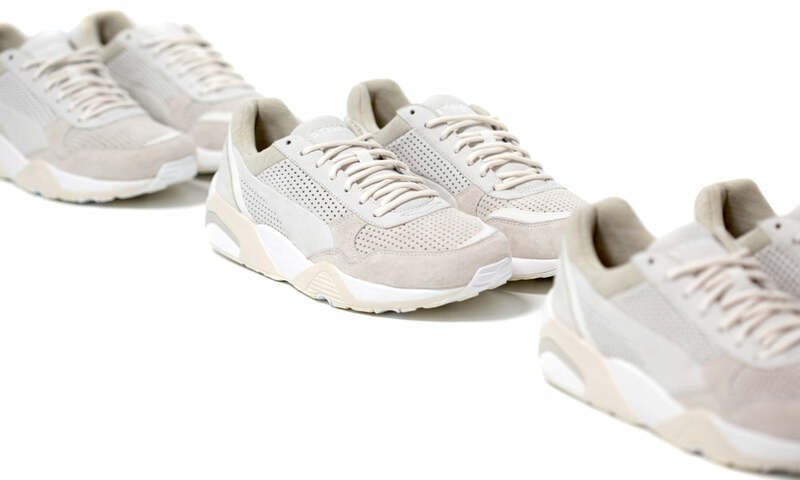 Puma present a premium edition of the R698 sneaker in collaboration with Stampd LA. 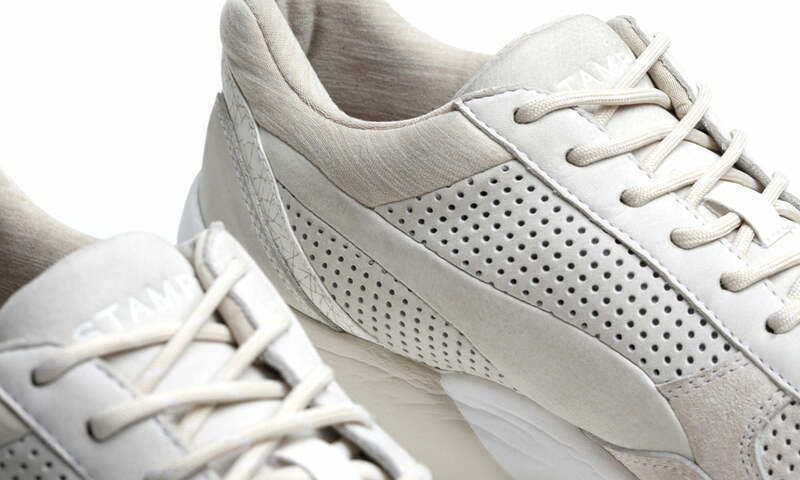 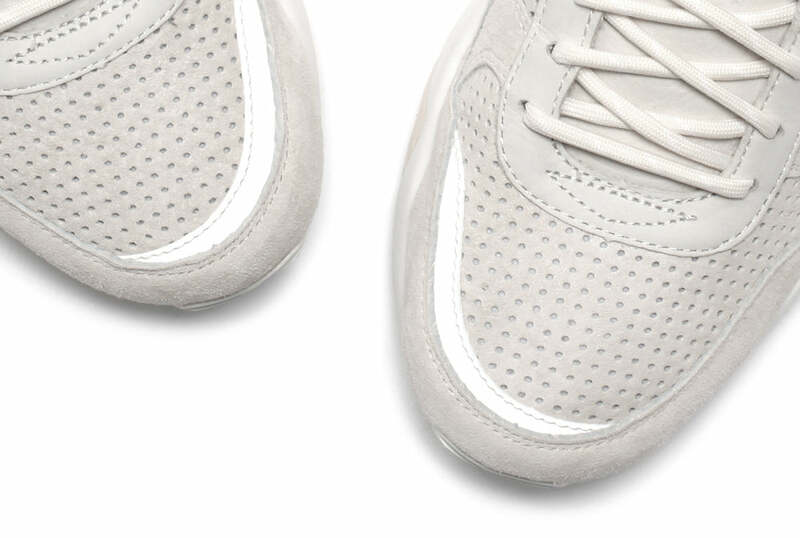 Uppers consists of a creamy blend of leather, nubuck and perforated suede. 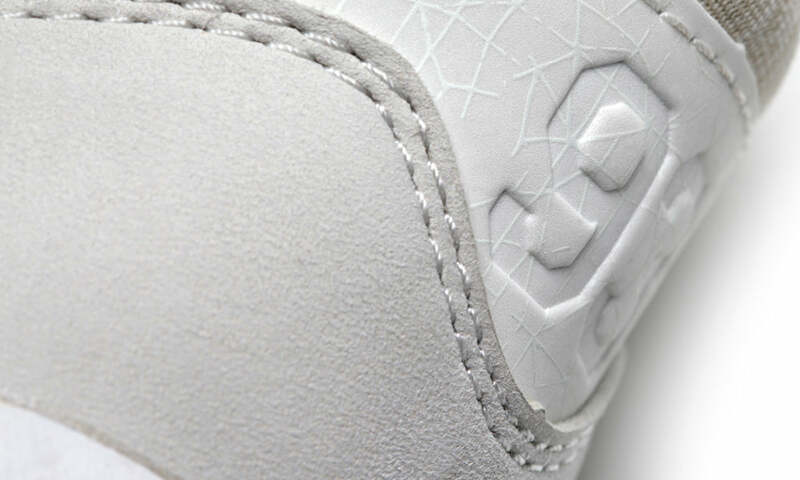 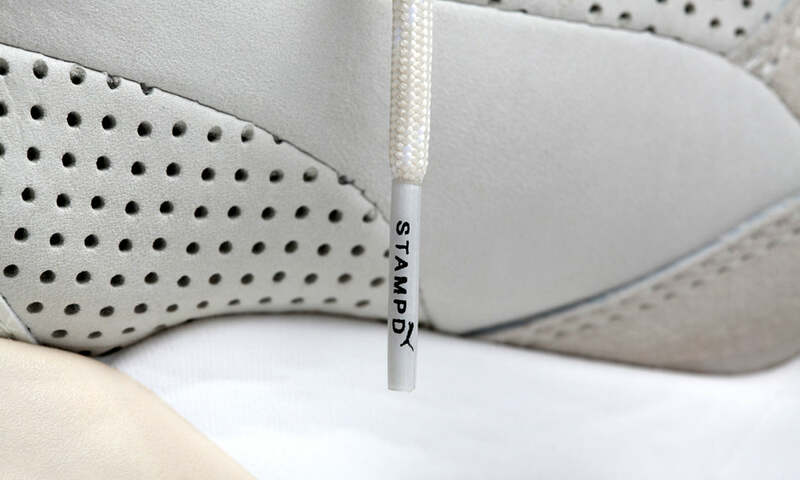 A geometric print wraps the heel panel while the Stampd logo appears embossed on the tongue label.